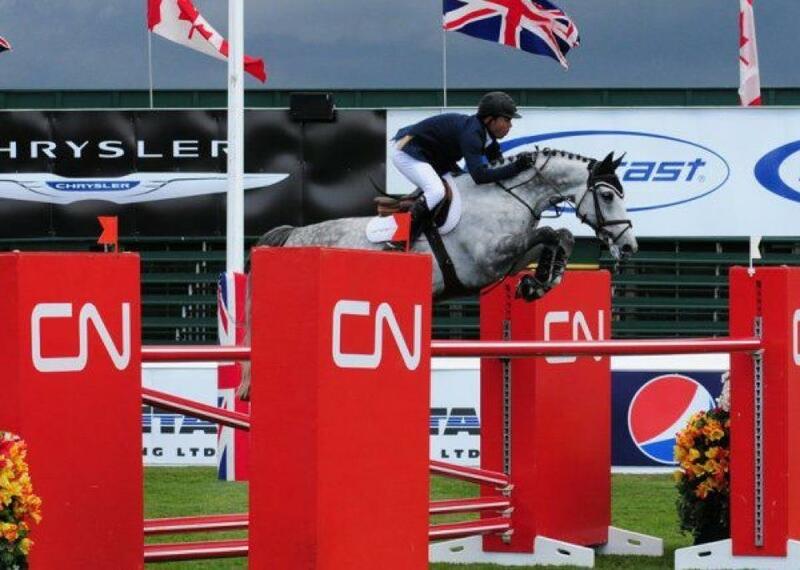 Kent Farrington and Uceko win the Spruce $200,000 CN Reliability Grand Prix. The two are certainly getting off to a very competitive start over there in Calgary.Kent and the “Little Grey”, as the Dutch Gelding is affectionately called by those at the stable, took the title after a competitive jump-off with Eric and Derly Chin, Darragh Kerins and Lisona, Rich and Cristallo and Richie Moloney aboard Ahorn Van de Zuuthoeve (quite the mouthful!!!). These two are certainly off to a great start winning twice in the international ring just this week. Hold on there Kent! There is still 4 more weeks left to go…. Looking at the results here, Kent and the “Little Grey” beat the field with a time of 38.98.